If you had been a canny investor back in 2008, you could have done a lot worse than make a substantial bet on upmarket ice cream futures. 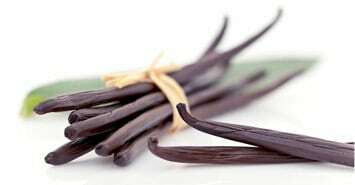 The price of vanilla beans has rocketed from as little as $25 per kilo eight years ago up to $240 at the end of 2016. Some forecasts predict it will reach as much as $450 per kilo by the middle of 2017. Even by the standards of volatile prices in agricultural commodities such as rice and grains this is exceptional. Unlike other price increases that were shortlived and the result of policy decisions, the price of vanilla beans is being driven by something else. In short, it is all down to us, the fickle consumer and our love of authentic cones, custard and crème brûlée. It is a classic case of economic supply and demand, but with a curious twist. On the demand side, vanilla bean prices are being driven by the changing food preferences of consumers in the developed world. Increasingly, they want to buy food, especially processed food, that is free of artificial ingredients. But to make convenience food cheap, food processing firms and manufacturers source and use low-cost raw materials. One such input being used in the production of food products including ice cream and chocolate is synthetic vanillin. Vanilla beans provide vanilla the flavour, of which vanillin is the key element. But even in the 19th century demand for vanilla beans exceeded supply and chemists wasted no time seeking alternative sources. Over the years various sources have been used to derive this compound, including pine bark, wood pulp, spruce trees and rice bran. But the vast majority of supply today comes from something called guaiacol derived as a result of a petrochemical process. The resulting synthetic vanillin is a cheap and reliable source. And so, we have plenty of it. But we need it. It has been estimated that the flavouring is present in at least 18,000 types of products. It is the go-to ingredient for millions of mass-produced cakes, ice creams and pastries eaten daily all over the world. But, as a result the vast majority of vanillin being used cannot be described as natural. Less than 1% of the total global market in vanilla flavour is actually sourced from vanilla beans. That means that the majority of vanillin used to satisfy demand cannot be described as a “natural ingredient”, and this matters when consumers demand this characteristic. Given the way in which “natural ingredients” are defined by governments, even naturally derived substitutes cannot necessarily be described as such. The nuances can be confusing. There is even a difference between the meaning of vanilla “flavoured” and vanilla “flavour” when applied to something like icing on cream buns, according to UK food ingredient regulation (“flavoured” means from the beans; “flavour” means from synthetic vanillin). Now, whether or not the rejection of synthetic ingredients by consumers is a rational act is irrelevant. Food manufactures simply need to make products that are accepted by consumers in order to survive, particularly if they are trying to sell into high-value markets where “authentic” ingredients and an image of vanilla pods on the packet can help shift units. It is this curious supply-and-demand dynamic that keeps manufacturers coming back to the beans – or seeking to develop more vanillin from sources they can describe as “natural”. And when it comes to the genuine beans, a combination of poor supply and speculation is driving prices. The supply of vanilla beans has always been subject to uncertainty. Witness the tropical storms that ravaged vanilla bean production in Madagascar in early 2000. The production methods are labour intensive (it takes 600 blossoms pollinated by hand to produce 1kg of cured vanilla beans) and the production of quality vanilla cannot be achieved quickly. The curing process cannot be rushed, even though current prices make it an appealing prospect. Attempts to quick-cure vanilla along with the introduction of vacuum packing in Madagascar has sometimes resulted in lower quality beans being produced. Of course, while demand for natural vanilla remained relatively low – when consumers didn’t mind or care about the use of “artificial ingredients”, and while prices were nothing special – there was little incentive for vanilla bean farmers to worry overly about production. But that means they have been ill-prepared for a spike in demand thanks to our desire for all things “natural” in food production. As is typical in agriculture, the ability of producers to respond to increased demand in the short run is limited. Yes, vanilla producers can eventually generate new production, but the planting, growing and harvesting takes several years. And there needs to be ongoing management of existing plantations. Continued vine renewal is required as the plants that yield the vanilla beans need to be replaced on a regular basis. The current focus of the price rises has been on vanilla beans produced in Madagascar. There are other countries involved in production, but much like other food ingredients there are differences in vanilla beans by source. By and large, thanks to our refined (or fussy) tastes, food manufacturers want Madagascar bourbon vanilla. But with global demand for vanilla beans expected by industry sources to be in the range of 2,500-3,000 tonnes per annum, this is well in excess of production capacity in Madagascar (estimated at 1,400-1,800 tonnes this year). Until new production capacity comes on stream, prices will likely remain high. Middle-class demand for genuine vanilla bean products is only one part of the story, but combined with the unique aspects of growing, harvesting and trading there is no reason to think that we can expect lower prices any time soon. As with all commodities, some degree of price certainty would help all participants in this industry. Something to ponder while you drink your £3.40 vanilla spiced latte.